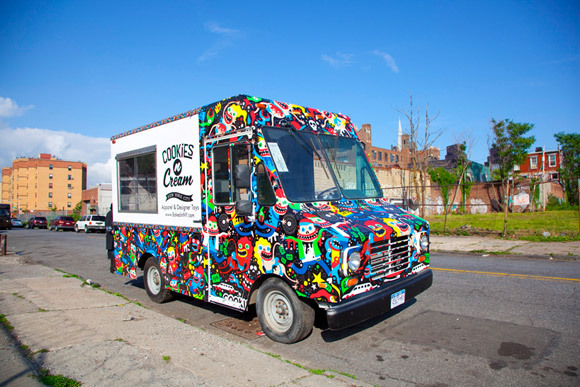 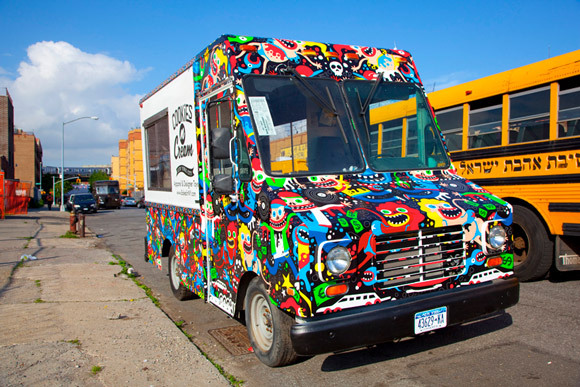 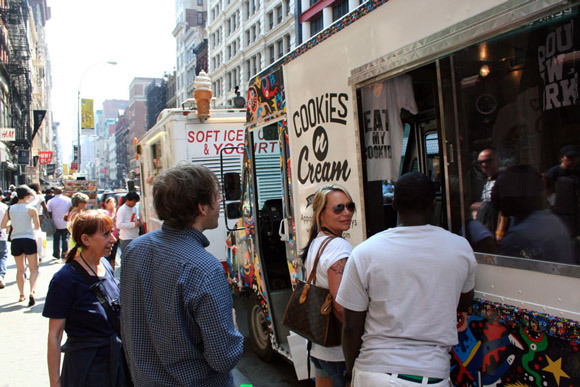 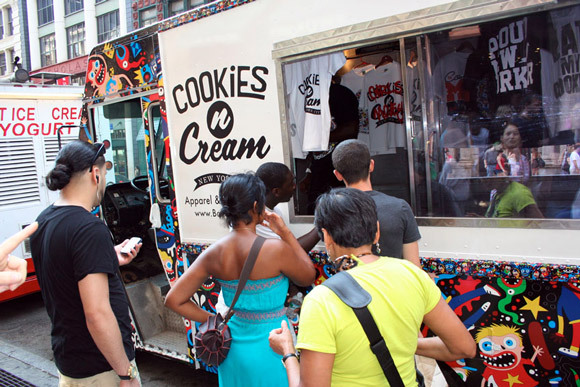 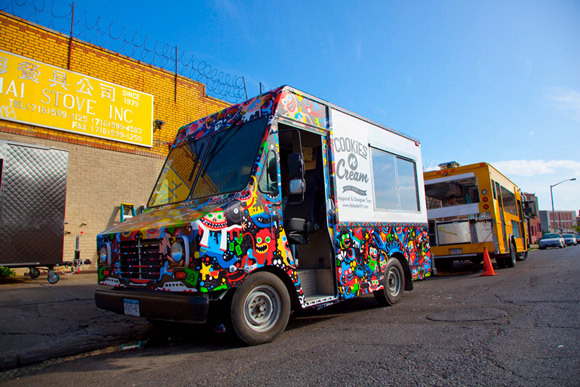 The creative folks at Cookies N Cream have just rolled out their new mobile marketing machine. 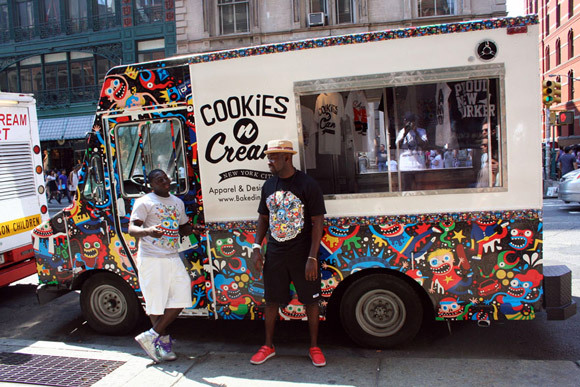 Embellished with the maniacal style of French artist, Skwak, this portable t-shirt and art toy shop hit the streets of New York to get down with the locals. 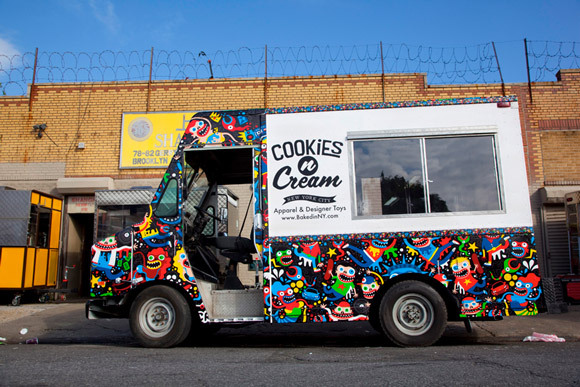 They are planning to take this sweet ride on tour in the future, so cross your fingers the Cookies Mob swings through a city near you.